The process of evaluating sales aptitude in job candidates could in some ways be compared to a small construction project like building a garage. To complete either project you will need to employ a variety of tools that each perform a specific function necessary to the project’s success. Where the comparison ends though is when you have two tools whose functions overlap. 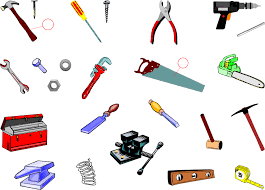 When building a garage it is not a problem to discard one of your hammers, drills or saws. When evaluating sales aptitude, the typical face-to-face interview and sales personality tests are in many respects, tools with overlapping functions. In this case though, it is best to use both, while being cognizant of the relative strengths and weaknesses of each. In this way, by working in tandem each becomes a better tool in it’s own right. It is quite likely that you use most, or perhaps even all, of the above sales hiring tools to one degree or another. If you are like the majority of hiring managers the results of the face-to-face interview(s) receive the greatest weight. Of this list, the single most important factor that hiring managers are trying to evaluate accurately is the candidate’s personality traits and characteristics. This is borne out not only by our many conversations with these hiring managers but also by numerous surveys. This is further confirmed by hundreds of published papers by experts in the field as well as by numerous HBR articles on this topic. The problem is that hiring managers are using interviews to evaluate personality traits and characteristics. This is a big and potentially very costly problem. Why? Because as we shall see, interviews are one of the least effective tools for measuring sales personality traits-the most important factor in determining sales success. Accurately identifying sales personality in interviews is impossible? Candidates today, have access to so much information via specific sources like Linkedin and Facebook, let alone general research via Google that they know in great detail about you, your company and what type of person you are trying to hire. In addition to knowing what you are looking for, these same sources are a terrific resource for job candidates to learn how best to ‘market’ themselves. Even if the candidate was not sourced via a recruiter, who probably coached them, given the tools at the candidate’s disposal, they might just as well have been. This is not new, as candidates have always tried to portray themselves in a way that matches what the interviewer is looking for. It is just that today they are far more sophisticated in their ability to pull it off. Please understand, I am not in any way suggesting they lack honesty or scruples, it is merely the fact that they want the job, so from their perspective they are ‘polishing the apple’ or ‘putting their best foot forward’. Where it becomes a serious problem for you is when the personality traits they are trying to portray are very different from their real or natural personality traits. This is important because people can play convincing roles for short periods of time (interviews), whereas over time (once hired and on the job) they revert back to what is natural to them. As one common example let us suppose you are attempting to hire a rather assertive sales type (eg. a sales hunter or sales closer style). It is entirely possible, and actually quite common, for a non-assertive person to portray the style you seek. This is particularly the case if you are interviewing a non-assertive but highly sociable type. Your interview experience with this person convinces you that you have a winner so you hire the person. Months later, to your regret, you realize you were fooled. I cannot tell you the number of times even very experienced hiring managers have recounted to me variations of this scenario. The candidate’s role-playing will fool you! An equally costly but different way of being fooled by applicants is the mis-identification of personality traits. This happens when the personality trait you think you are seeing in the candidate is actually a very different trait. There are numerous examples of this but a common one occurs with candidates who are extremely personable but not very assertive nor self-motivated. The problem is that high sociability looks like high assertiveness, but it definitely is not. As the interviewer sifting through this maze this can be a real problem since these candidates intuitively know what you want to hear and can be very adept at appealing to your ‘hot buttons’. Now, some sales roles that do not need a lot of assertiveness can be quite a good fit for these types. However, the problem is that if you are interviewing for a role that requires assertiveness along with the sociability (which is usually the case), you will live to regret hiring this kind of candidate. People with a high level of extroversion are ‘in their own arena’ when being interviewed. This is the reason why these types can fool you. Conversely sales types who are more reserved, introverted and controlled in style do not interview very well. If you are interviewing quite a number of candidates who happen to be extroverts these introverts by comparison, will not come off very well. Their ‘poor performance’ in the interview can be a classic example of where interview performance has absolutely nothing to do with predicting sales success. Of course there are introverts that you should hire and introverts that you should not. Interviews are not a hiring tool that can discern the difference. Why a Sales Personality Test is better? One of the fundamental reasons for using a sales personality test is to avoid being fooled in job interviews. For this reason when you use sales personality tests none of these three costly issues should re-occur. Utilizing the sales test early in the process makes your interviews more effective by arming you with a deep understanding of the candidate’s strengths, weaknesses and possible red flags, many of which would not have been apparent via face-to-face interviewing alone. Conducting an interview without incorporating sales personality tests means you are operating ‘blind’ and therefore the sales candidate has you at a serious disadvantage. By using a sales test in tandem with the interview you will have the advantage. Isn’t this the way it should be? After all, hiring mistakes are very costly. I do hope this article has been helpful. I invite your questions and comments. Should you be interested in our services please visit us here-SalesTestOnline.com for a free demonstration.